Poverty is violence and affects millions of children world-wide. 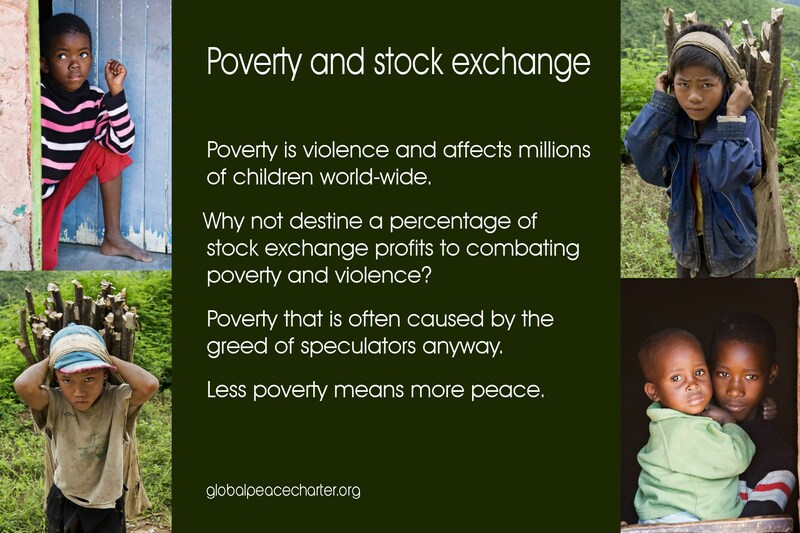 Why not destine a percentage of stock exchange profits to combating poverty and violence? Poverty that is often caused by the greed of speculators anyway. Less poverty means more peace.